How to Remove WhatsApp Chat Messages Sent By Mistake? 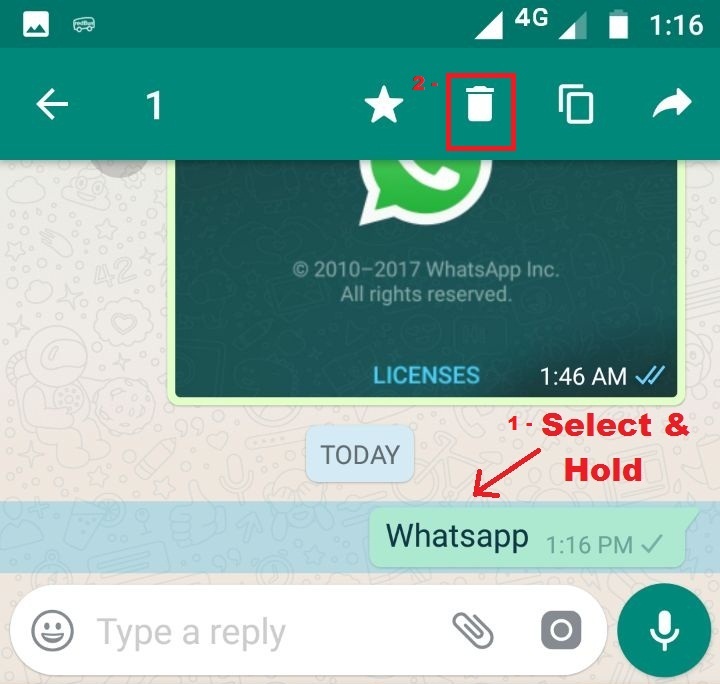 Good news for WhatsApp users, after several suggestions and concerns from its users, WhatsApp has finally implemented a feature that will let message senders delete the sent message before and even after reading the text/media chats by the recipient. 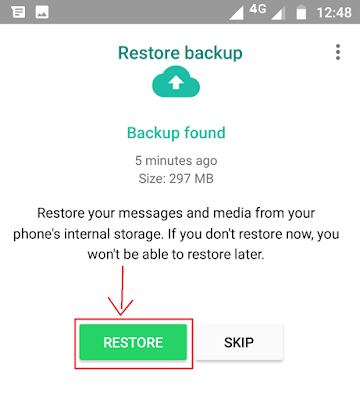 Because if you sent something by mistake, Whatsapp gives another option to recall the message by deleting it from the recipient's devices. 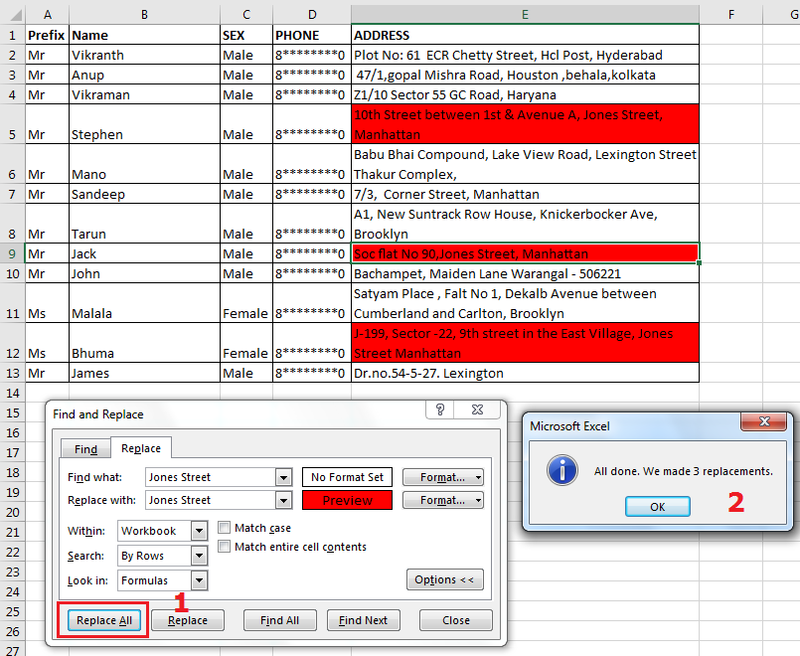 The features which are almost similar to Microsofts Outlook e-mail recall message functionality. 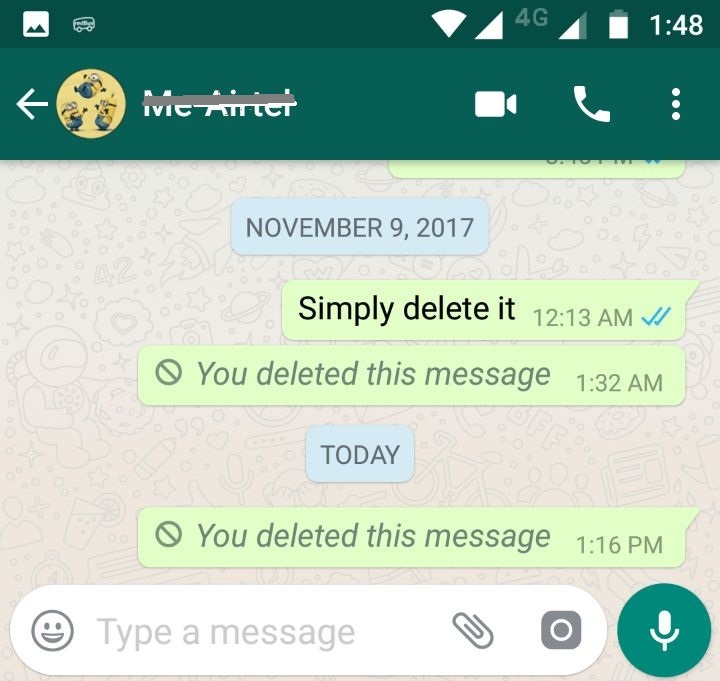 Caution: This feature(option) to delete the sent chat messages will automatically vanish after 7 minutes from the posted time. So always remember mistakes can be corrected only when you realize that it's a mistake and plunge into action before it's not too late. How to Delete Sent/Delivered or Read WhatsApp Chats? This feature is applicable to both individual chats and group chats, Just follow the below steps to erase WhatsApp chats messages immediately within 7 minutes from both sender and receiver even if the chat is already delivered or viewed. 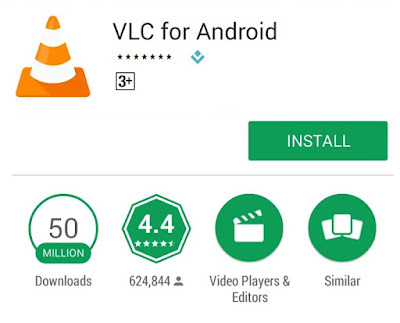 Visit the Google play store and update the latest WhatsApp messenger version(2.17.395) or higher. 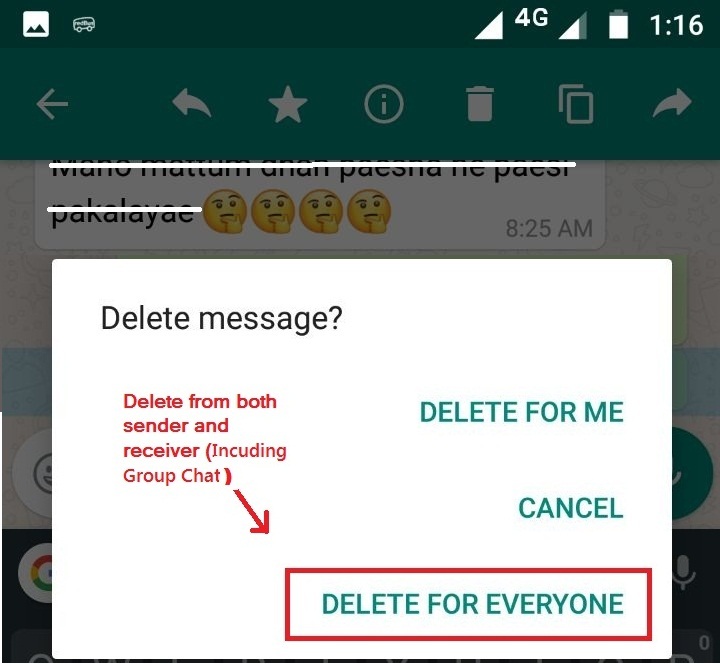 Simply select "Delete For Everyone" to delete the text/media chat messages from the sender and receiver end. 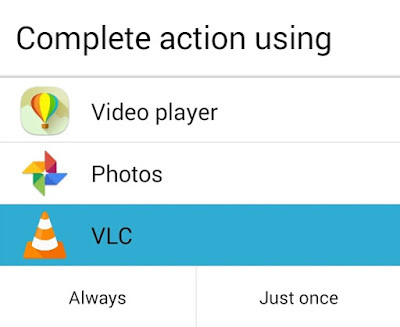 [Note: Media files such as photos and videos can be saved on your device. Now the text is deleted, however, the trace will still subsist with a message like below screenshot. So now you know how fast you should react to your mistakes in Whatsapp Messages. 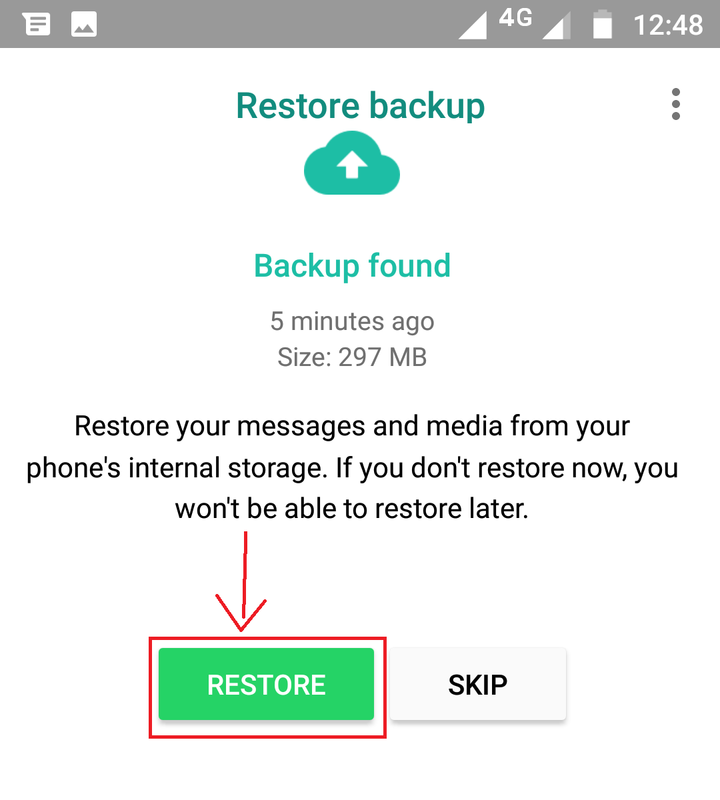 Note: This feature is applicable only for the upcoming text messages sent/posted after the successful latest version update, Deleting the message sent before the updates or after 10 minutes of text delivered will have no option to delete the text message. 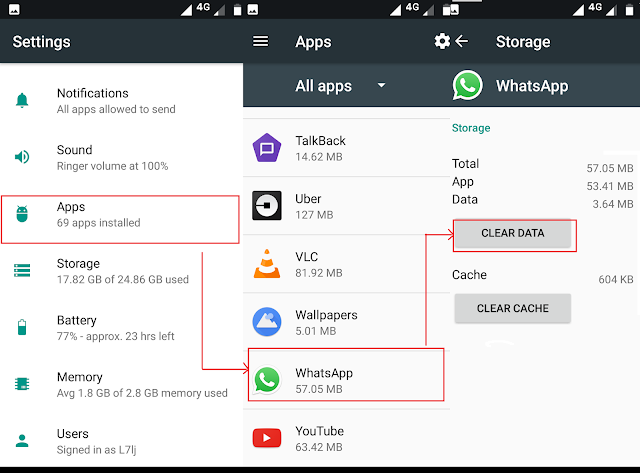 What if the content posted on WhatsApp is more than 7 minutes? 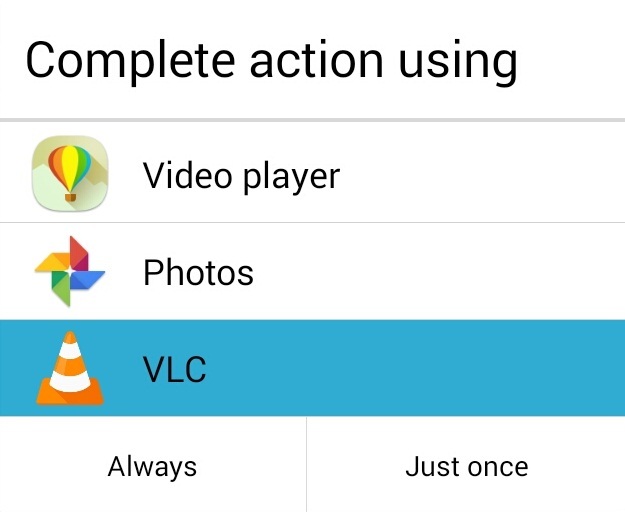 If the user is offline(content is not delivered) then you've another chance to delete the chat messages that you don't wish the receiver to view. 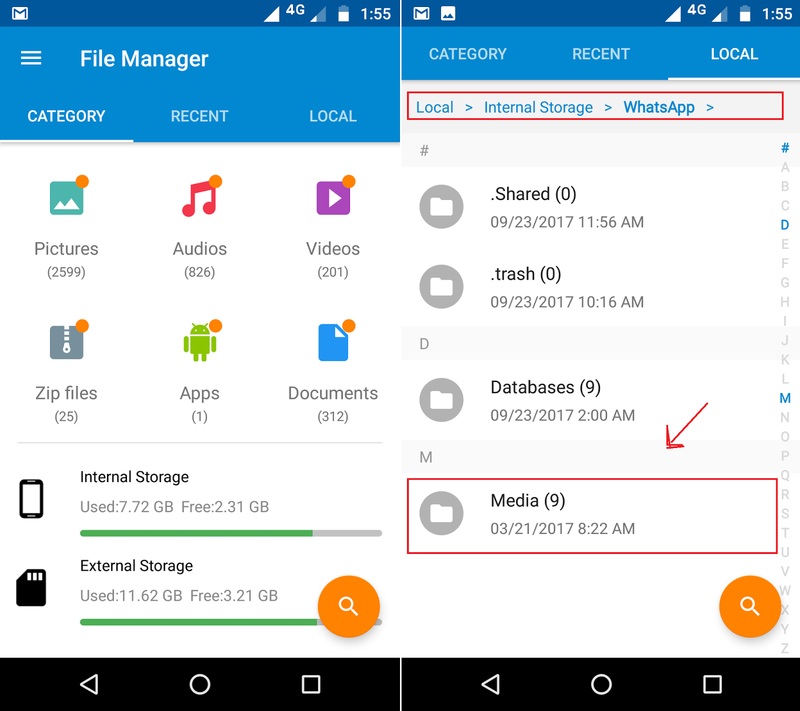 "Delete Sent, But not Delivered WhatsApp Messages "
Though passwords are meant to protect information from the third eye, well it doesn't make sense if even you are not allowed to remove a password of your own PDF file when you no longer required to protect the same. Already we have hell lot of passwords to remember for each and every online/offline accounts and these PDF files are making it even worse by encrypted PDF files with different passwords for each. As a result, you may become a stranger and considered unauthorized for your own document once you've forgotten the password. How to Remove Password From Encrypted PDF File? PDF files formats are mostly used in online business and banking transactions for the document level security, compressed size, universal device support and much more. 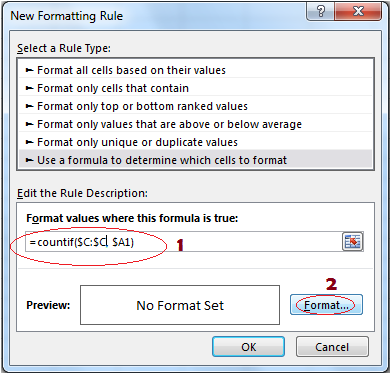 Despite being a universal utility/document, unlike other applications, the utility so-called PDF don't endorse the "remember password" function, thus whenever the protected PDF is attempted to explore then each time the user has to input the password to access the content inside the document. Also if you want to share the document or attach the document for any online verification purposes you'll have to share the passcode along with the same. So to remove password which no long required to continue from now on, then just follow the below steps to tamper the protection from PDF. Note: Passwords can be removed from the encrypted PDF file through browsers only when the user knows the existing password of the file. Step 1: Just drag and drop the encrypted PDF file from the computer disk into the browser window. 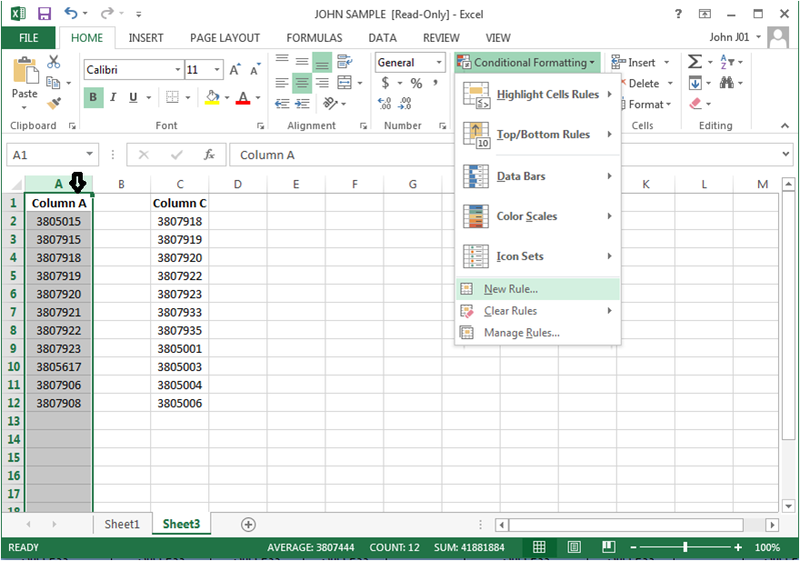 Step 2: Immediately password prompt dialog box opens for the password input. 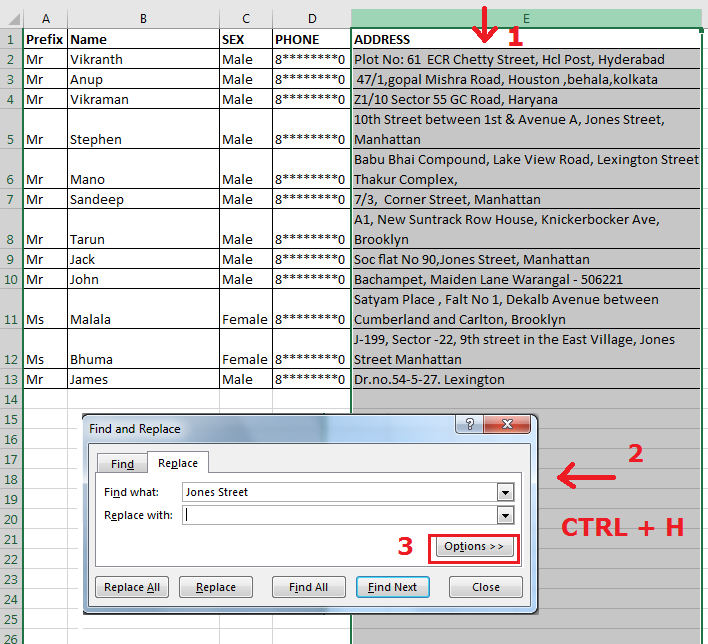 Step 3: Enter the appropriate password and click on submit to open the PDF file. 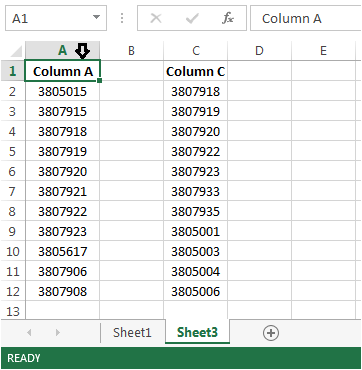 Step 4: Now simply click on the print icon at the top right corner of the browser window or press (CTRL + P) and select the destination file format as PDF then click on save and name the file and tap on save to create a copy of the password protected PDF file without a password. 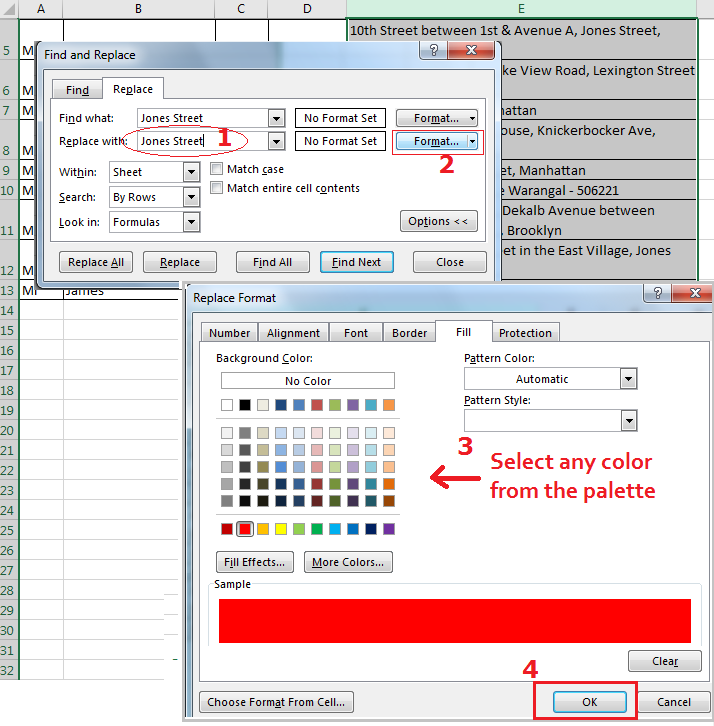 Select the destination type as PDF to create a copy. Note: To save/print the document as PDF file, it is necessary to install the Adobe PDF reader. Step 5: And you're done, now open the new copy of PDF file without any hassle to enter passwords each time. 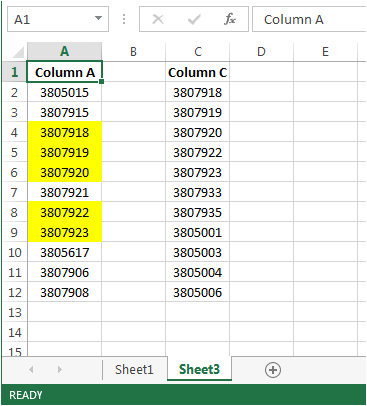 Note: This trick doesn't actually remove the password instead it will create a duplicate copy of the same file with same content without a password, as a result, this won't work if the document is print restricted. Since most of the popular browsers come with a built-in PDF reader by default like most of the operating system/platform/device supports PDF file format. Hence, this trick to remove password from encrypted PDF file can be achieved with any browsers such as IE, Google Chrome, Mozilla FireFox, Opera, Safari etc without any hassle. WhatsApp was initiated as a platform to correlate people digitally without vocal communication. Like verbal communication, non-verbal communication can also be expressive, For example in verbal communication adding variant sounds and pressure to the word will add a different meaning to the word. whereas, in non-verbal communication like texting the same word can also represent several meanings with the fonts and styles used to form the word. No doubt that smileys/emoticons are the best way to convey emotions via text to someone in messengers, but yet there are few emotions and expression that cannot be attained even by these emoticons. 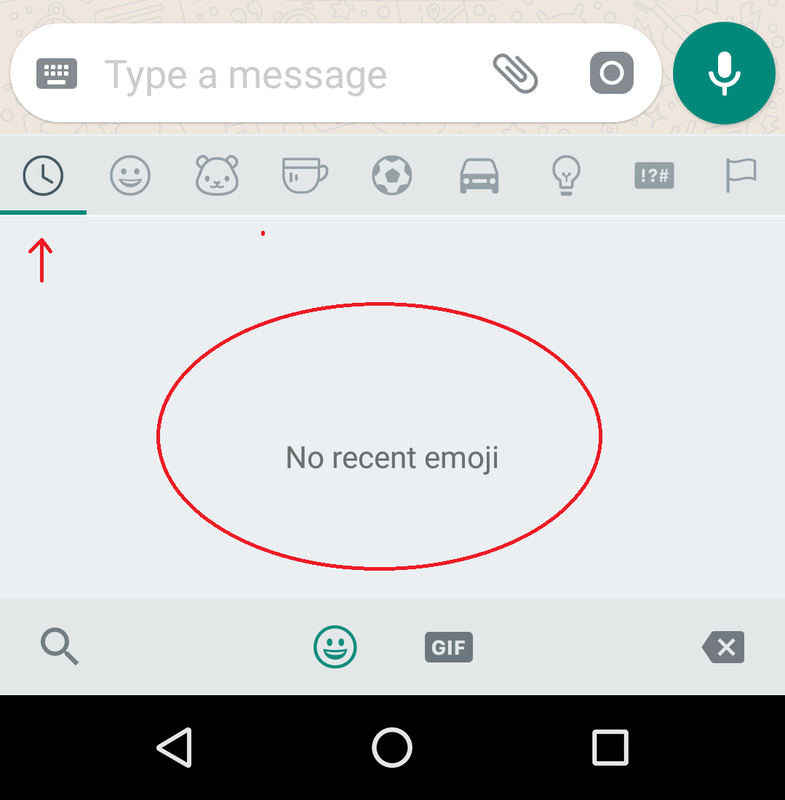 Why to USE font style in WhatsApp ? Each type of fonts has its own history & representation and the most common type of font style that can be appended within any other font types are BOLD, ITALIC, and Strike Through. 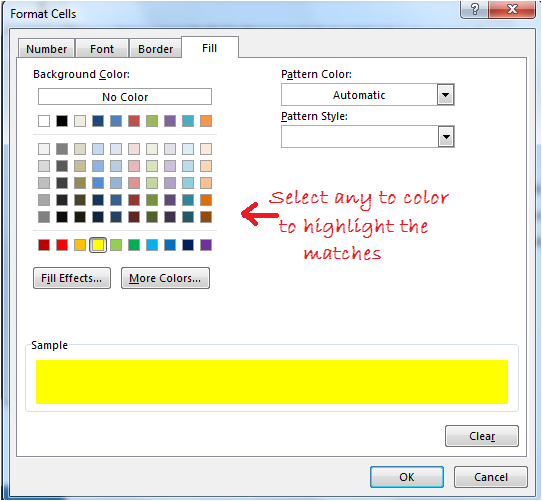 Bold Text: Usually making a word or line in a phrase bold is to stand out from other words. Italic : It is the most appealing font style in any article. To emphasize a word in a sentence using bold style is fine, but making several word bold in an article will be disruptive to the person reading the text, so to avoid such situation Italic styles are used to emphasize one or more words in a sentence. Strike Through : This one style itself has several hidden meaning, For example in some sentence when it is used, it'll denote the mistake which should not be considered for inclusion. 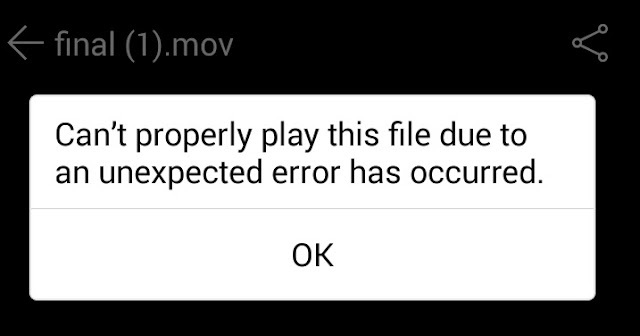 In some other case, it is used to denote that the word is recently edited or deleted. 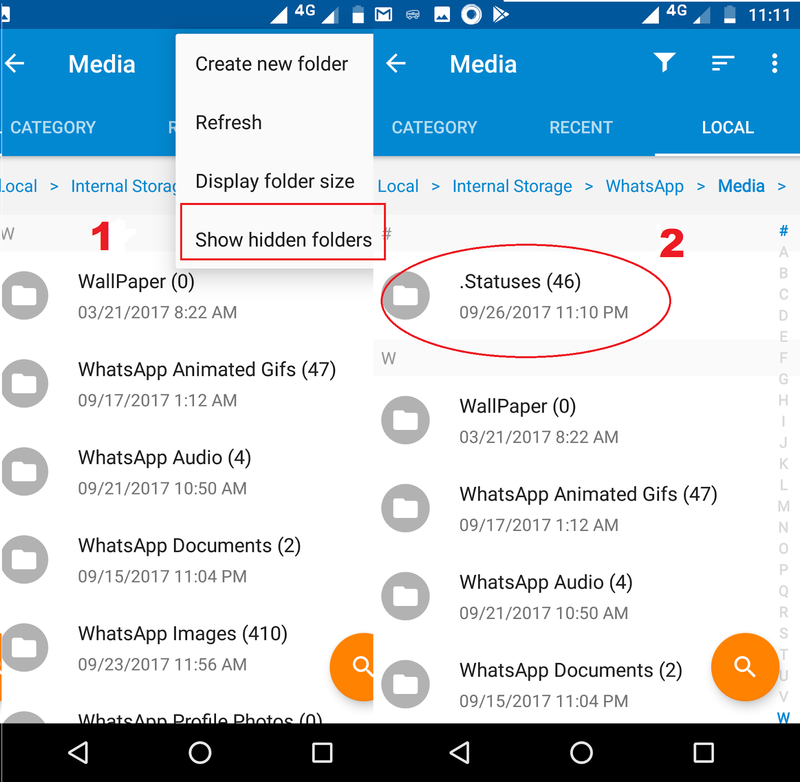 How to Customize Fonts in Whatsapp ? Changing WhatsApp font is not a rocket science, just tapping on few symbols before and after your words/text will do the magic. Bold Fonts > To make your font bold, just add the symbol * (Asterisk) before and after the text which you want to highlight in bold. Italic Fonts > To make your font Italic just add the _(underscore) symbol before and after the word or sentence you want to highlight in Italic. 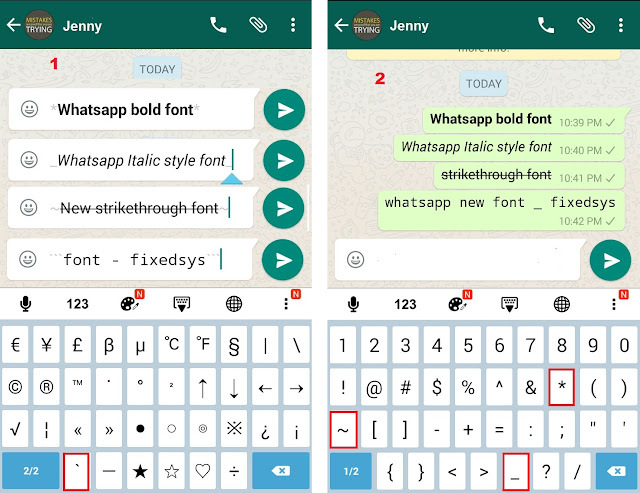 Strike Through > To add a strikethrough in WhatsApp font, just add ~ (tilde) symbol before and after word that you want to mark. Fixedsys Font > To change the default font to fixedsys font format, just add three ```(back quote) symbol before and after the text that you want the different font to applied. Note: Left single curly quote symbol for fixedsys font format will not be available in the 1st tab of the number keypad in WhatsApp mobile, tap on to the next tab in number keypad to find the single curly quotes symbol. 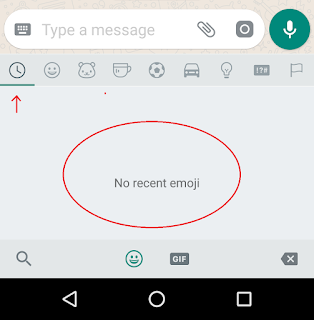 How to change the font size in Whatsapp ? Changing the size of the font in Whatsapp will not deliver big or small size text to the recipient, changes in size are applied only for better vision for different human eyes. 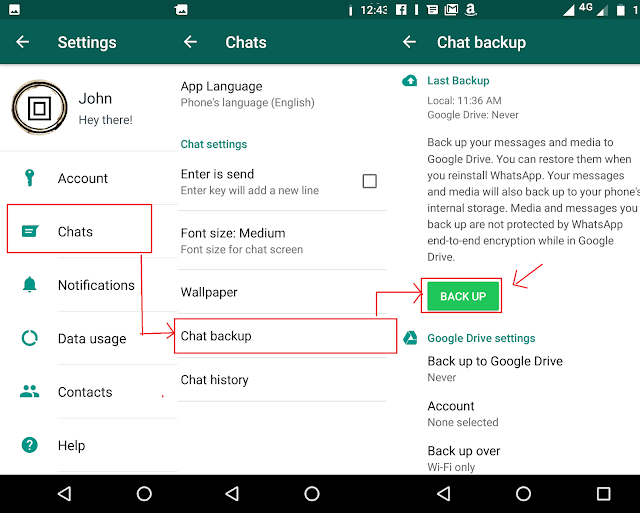 Open WhatsApp messenger and tap on the settings. 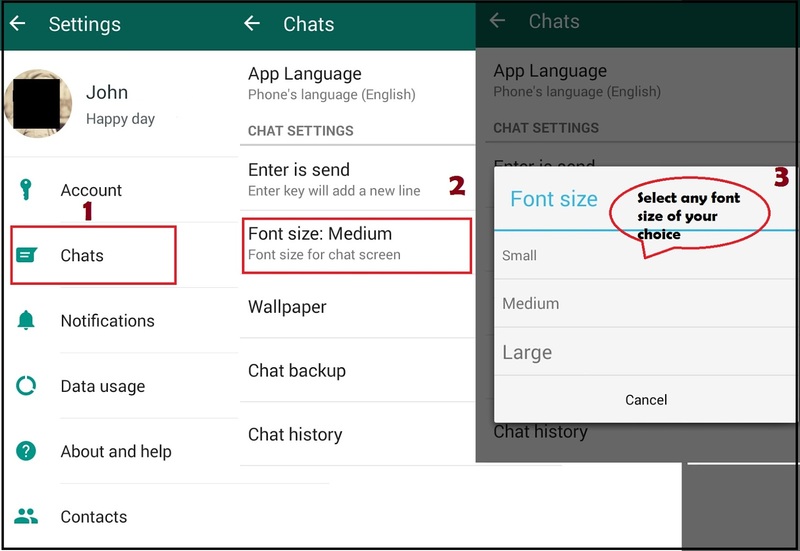 Click on chat option and tap on font size. Select your preferred size from the 3 option either small,medium or large.